Something is brewing at Bonefish Street Elementary School . . . But it looks like their families, the Tweets, who are neat, and the Bobs, who are slobs, aren't going to make getting to the show easy. What will happen when the Tweets and Bobs have a showdown before the show? And what if all that fighting makes Dean Bob just a little nervous for his performance? Find out in another wacky family saga full of pets, school antics, and two very silly families! 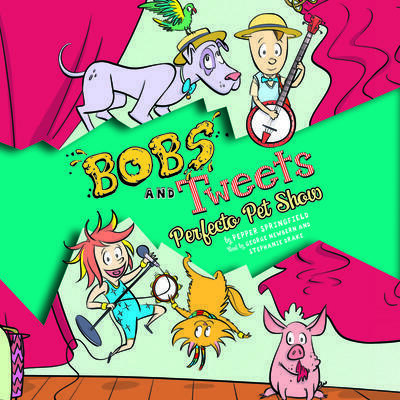 This second book in the Bobs and Tweets series is filled with full-color illustrations and high-interest rhymes that are just right for reluctant readers. It's Dr. Seuss meets Captain Underpants wrapped into one zany school adventure! So go ahead, read and laugh with the memorable Bobs and Tweets!